Around the Capital Beltway and across the Yolo Causeway, students get real-world experience through wide-ranging internships. Each quarter, UC Davis students make their way to the state’s and nation’s capitals with a mix of practical and lofty goals: get resume-building experience and develop the know-how to change the world. Representing a swath of academic majors, Aggies at UC centers in Sacramento and Washington, D.C., take courses and participate in an array of internships — both inside and outside government. Many describe their experiences as life-changing. 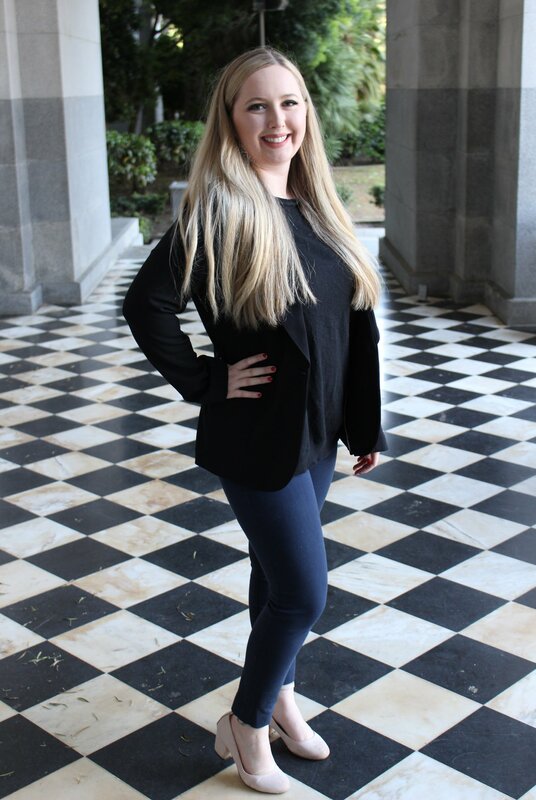 In an article for online magazine Her Campus, Olivia Wardlaw (B.A., English and political science, ’18), said applying for the internship program at the UC Center Sacramento was the best decision she ever made in her time at UC Davis. Administered by UC Davis, the UC Center Sacramento enrolls students from eight UC campuses — with Aggies from the College of Letters and Science as the most represented. UC Davis students make up roughly half the interns each quarter, said Ken Barnes, assistant director of the campus Internship and Career Center. As part of her internship with the Secretary of State’s office, Wardlaw worked with the first wave of counties participating in the Voter’s Choice Act, which aims to make voting more convenient with more mail-in, early in-person, and ballot drop-off options.The experience aligned with her plans for a career in public policy, working in the press, legislative affairs at a political office, or working on election and educational reform issues. Read about other state capital interns on the UC Center Sacramento's Facebook page. 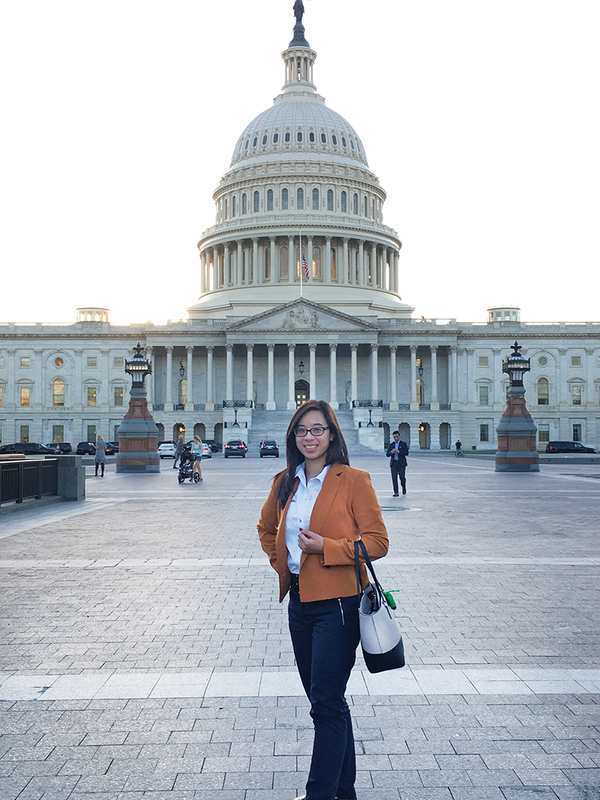 Young alumna set sights on policy in D.C.
Allyson Nicole Camino (B.A., political science–public service and Chinese, ’17) served as a political affairs program assistant for the US-Asia Institute when she interned with UC Washington Center (UCDC) in 2017. In Washington, Camino worked with the US-Asia Institute (USAI), a private United Nations-associated nonprofit dedicated to building and strengthening ties between the United States and Asia. Camino is working now to gain legal and public policy experience in immigrant rights advocacy and to encourage her local Asian-American and Pacific Islander (AAPI) community to be civically engaged. She hopes to pursue a joint law and public policy master’s degree, and would like to one day move back to Washington to work with immigrant rights and AAPI advocacy groups.